There was a time when academics and people of standing sneered at online courses. 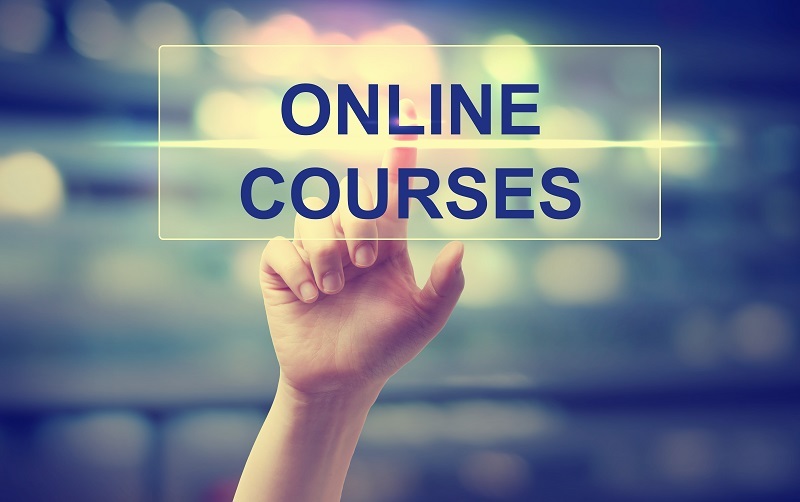 Not even ten years ago, when you thought about online courses, you immediately thought about dodgy internet degrees from exotic places that you had never heard of. The humble online course has evolved considerably from those times, however, and is now an entirely legitimate form of learning (and business). If you’ve become an expert on any specific topics, there are many people in the world who would exchange their time and money for an accelerated learning experience from someone who can teach them how to do exactly what they’re wanting to achieve. Yes, you can make money with online courses! According to the Babson Survey Research Group’s, 2014 Survey of Online Learning, there were 5,257,279 distance education enrollments in formal online training in America in 2013. This is about 25% of all college and university students. Even the established universities now recognize the importance of online study, with 70.8% of Chief Admission Officers (CAOs) agreeing that online education is critical to their institution’s long-term strategy. By late this year, 98% of organizations are predicted to use e-Learning courses as part of their learning strategy. In the same time frame, 50% of organizations are predicted to use games and complex simulations as part of their e-Learning. By 2016, 83% of organizations are predicted to use video as part of their digital learning. Currently, 74% of people use mobile devices for e-Learning; this will rise to 81% by 2016. Online learning is real, valid, multi-modal, and definitely an industry to be part of. So why has online training become the learning medium of choice for so many people around the world? Online training tends to allow for more flexibility than traditional education. In most cases, users can move at their preferred speed. Some courses follow a formal curriculum with an exam, others are more free-flowing, providing training on a topic to benefit the student. There is a wide variety of courses offered from many different institutions, individuals, and organizations. There is usually an online course available for any niche where there is a demand. You learn at times that suit you. There is no need to rush to get to an 8 am lecture if you can just learn the same material whenever you are ready to study it. If you have a day-job, you can still build skills and study outside of your work hours. You can do your homework before you pick a particular online course. Many will have published reviews and comments that will help you make the best choice. An entire industry of online education has been born, to address the increasing demand for topics like building necessary career skills, establishing a foundation for starting a business of your own, and learning how to use emerging online tools. The range of people participating in this includes traditional learning establishments, major universities, e-Learning start-ups, and individuals. Many of these are known as MOOCs, massive open online courses. These are generally free and available to anyone with an internet connection. Itunes University is a good example of a MOOC. You will find thousands of courses on a broad range of topics. Of course, being free, you will be studying these by yourself, usually without any feedback or accreditation. Somewhere in between the officially sanctioned university courses and the free-for-all MOOC platforms are the online education marketplaces (like CreativeLive, General Assembly, Treehouse, and Skillshare). You could consider these markets as destinations to hone your career skills. Each site contains many specialist courses, focusing on specific, often niche, topics. There is a bias towards computing, technology and creativity in the courses offered on most of these online platforms today. Technical: Lynda.com, Udacity, MIT OpenCourseWare, edX.com, Treehouse, Udacity, Media Bistro, General Assembly and Hacker School. Microsoft Office: Lynda.com and Microsoft Virtual Academy. Industry specific: CreativeLive, Skillshare, Treehouse, Udacity, Foundation Center, Media Bistro, General Assembly and Hacker School. Communication and other soft skills: The New York Public Library and The Learning Annex. Clearly, there’s a demand in the marketplace for online educational experiences. This means there is an incredible opportunity to brand yourself as an expert and create your own specialist website where you can regularly offer courses tailored to your particular niche. For instance, I provide courses on Writing a Winning Freelance Proposal and Starting a Business While Working a Full-Time Job on my personal website. Most of us have some area of expertise that we have honed, in which we have a detailed knowledge and understanding. You might not realize it, but just because you find something easy and natural, other people may find it uncertain and challenging. This brings an enormous opportunity to create a community and following, help others, and in turn start offering your meaningful advice for sale as digital content. It is scalable, passive, and still very useful to people. Given enough time, all students who persevere at something, eventually mastering it, can become a teacher of that topic. Suppose you have jumped from learner to educator. You may, of course, choose to place a course on one of the marketplaces such as Skillshare or Udemy where they’ll help market your course, in exchange for a revenue split on each sale. If, on the other hand, you decide to host your course on your own site, I have a list of plugins (that I use myself) which will make your life a lot easier. OptimizePress 2.0. You can use OptimizePress to create fantastic landing pages, functionalities, all in a visual design layout tool. There are more than 30 templates to choose from, as well as many elements you can add to ensure your website looks precisely how you want it to, and will be taken seriously by potential students who browse your course offerings. ZippyCourses. I use ZippyCourses on my personal website and cannot emphasize enough how much I love it. This plugin powers any online course and serves as the member site for your users. This is where you physically create your classes, host them, and organize your videos by course, section, and lesson. It provides a clear, accessible framework for your courses and simplifies the creation process. SumoMe. There are quite a few functionalities offered by SumoMe. One of my favorites is that it allows you to capture email addresses, warm those people into your community by connecting easily to AWeber and other automated email marketing tools, then drive those people back to your course pages to generate revenue. Yoast SEO. In my experience, this is the number one plugin to help you with your SEO. Use it to rank your pages, posts, and courses higher in SERPs. It’ll give you recommendations, status checks, and grades on how well your content will be received by Google’s search ranking algorithm. Best of all, it’s free. KingSumo Headlines. Blogging expert, Jon Morrow, claims that up to 50% of the time spent writing a blog post should be spent coming up with the best headline. KingSumo Headline optimizes your headlines for more efficient social sharing and higher conversion when reading a post. You’ll be using your blog content to drive in targeted traffic and get them interested in taking your courses. AddThis. This tool encourages social sharing, displays social proof, and asks people to share your content. It is vital that you have clear social share buttons on each post, to encourage people to share what you have written on Facebook, Twitter and other networks that fit your visitor demographics. This is the quickest way to get your visitors to share your content with their networks of like-minded individuals. Online education is a huge industry, and it is growing every year. People currently have a seemingly endless thirst to increase their knowledge, in numerous fields. There are online courses created at all levels from universities to enthusiastic amateurs displaying their knowledge. What areas of knowledge do you have that you could use to create a course that will meet people’s’ needs? You might surprise yourself. Are you thinking of starting a business? Join my course on Starting a Business While Working a Full-Time Job to get the tools, tips, and strategies that’ll help you skip a lot of hard lessons on your own. I’m an Entrepreneur and Writer, teaching people how to create meaningful self-employed careers at ryrob.com. I’ll teach you how to start a business while working full-time. Visit me on Google+. We are pleased that you found it helpful Sandra. Thank you so much for all your useful information. Agreed, Ryan does have a very impressive and informative website. Hi Anna, we have heard great things about the Hubspot Academy! Good luck with the rest of your course. I’m currently taking part in a HubSpot online training course while I work full time and I’m finding its really helping my day job. Once I’m finished I will definitely be checking out Ryan’s course about starting a business while working full time. You’re welcome Tom – It’s great to hear that you have found value in our latest guest post. Hi, I own a small blog but I’ve always wanted to start my own online course. This is definitely something for me to be aiming towards in the future.